Medically supervised, holistic treatment for addiction in a place of unequalled beauty and peace. Individually tailored, intensive programming helps our clients understand and overcome their addiction and journey forward to physical, mental, social, emotional, and spiritual wholeness. Are you seeking help for yourself? If you’re serious about recovery, Top of the World Ranch in Fort Steele, BC is one of Canada’s most unique recovery centres. Find out how we can help. Are you seeking help for a loved one? Take the first step and help someone you care about. Let us show you around Top of the World Ranch – British Columbia’s premiere recovery centre. Experience your journey back to yourself in the wilderness setting of a world-class Rocky Mountain getaway. 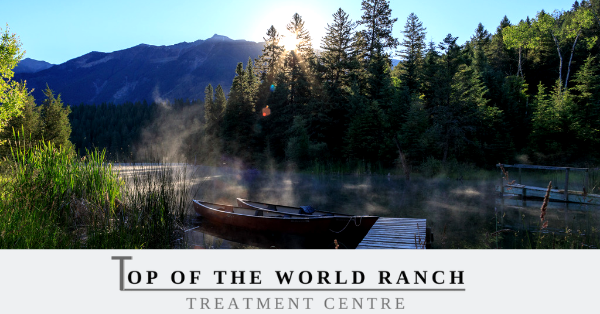 Our superb location makes Top of the World Ranch Canada’s top treatment centre. Enjoy over 600 acres of pristine wilderness, amazing amenities, a multitude of activities, private lodging, and delicious food prepared by Red Seal chefs. Mark Sadler, Top of the World Ranch's Executive Director, has first-hand experience with addiction and recovery. Trust that every detail of your recovery is planned with compassion, understanding and experience. Addiction and recovery impacts many people on many levels, and we provide support for the families, friends and employers of our clients both during and after our programs.